Now when you are on your way to becoming Mrs. Prince Charming, it’s time to think about your loyal bridesmaids! Trust us, asking your best girls to be your bridesmaids is great fun! If you don’t know how to make a bridesmaid proposal, let us give you our hand! Of course, you can simply text them, but hey, that would spoil all surprises! After all, this is a special event in your life, so why don’t you consider some creative bridesmaid proposal ideas? Popping the bridesmaid question can happen anywhere, anytime – just try to do it before the bridal shower! Because you are definitely going to need your girls to help you with that! Not sure how to do it? Take a look at our list of the best bridesmaid proposal ideas and get inspired! See Interesting Bridesmaid Proposal Ideas! Who To Ask And How? Your wedding is your day, and only you can decide whom to invite. Don’t forget that, after all, you can have more than one bridesmaid. This leaves enough space for the list of your nearest and dearest. But even if your list is still too long, keep in mind, that you can include important people by using other options to get involved in your bridal party. You are going to need ushers, personal attendants, etc. As you ask different people, try to be as creative as possible. There is no ‘correct’ way to ask, and the ways are unlimited for a person with imagination. Got creative block? Don’t you worry, we’ll boost your imagination! If you are looking for the best ‘be my bridesmaid’ idea, you’ve come to the right place. Here, we’ll get it fixed for you in no time! Before you ask someone ‘Will you be my bridesmaid’, here are several things you should consider before popping the question. Anyway, it is important who you have by your side on your big day! Don’t rush in the heat of excitement about your wedding. Probably, you have some time on your hands before the big day – well, take it and plan carefully. Think about everyone you might want to have as your bridesmaid. Consider your friends, family, including people who live far away, and, of course, matters of politeness. Keep in mind you are not the only person who’s getting married. Your fiance also has his family and friends, thus, mind to consider your future relatives-in-law. You probably have some image of your big day in your head. Is this a gala wedding that requires intricate planning with lots of details? In that case, you’ll definitely need a lot of help with everything. Will it be an elopement with a small ceremony? Just the two of you and a couple of closest friends? Each of these events needs a different number of people with different responsibilities. Thus, make a list of all the roles you need to fill in. Think about who will be the best choice for each of these responsibilities. We know how hard it is to choose your maid of honour and bridesmaids and think of an original way to propose to them! Want to boost your imagination? Give yourself a fun wedding-themed surprise, try bridal subscription boxes! They will make your wedding preparations more pleasant and add an element of surprise! Brides love a Miss To Mrs Bridal Subscription Boxes because they help them make their wedding preparations more creative. To have twice as much fun, unpack the box together with your bridesmaids! It is a great source of wedding inspiration for planning. Not only each monthly box has its own theme, but most of their items are far superior in quality because they are designed and made just for Miss To Mrs. Though you never know what exactly is inside, but we know for sure, one of the boxes with fun items for Bachelorette party! Remember, it is going to be two of you solving and deciding issues together. So, start to think different now and involve your beloved one. First of all, make sure you both think of the similar wedding. The size, the number of invited guests. Don’t forget to discuss how big you want your bridal party to be. It is also important to keep in mind, that it looks better to have a pair for each member of your bridal party, so it will contribute to a harmonious atmosphere. The bridal party is usually anything between 4 and 12 people. If you have a large wedding, it is reasonable to have more people around you. However, with a smaller ceremony, 12 people beside you will be a bit too much. Also, don’t forget to consider your venue size. If you want a larger bridal party, will there be enough place for all of your maids and men to stand beside you? Your big day is a truly special event, and probably, you expect all your friends and family to be there for you. But before you make your choice, think if the expectations you have are realistic. If the person you ask lives far away, or has small kids, or has some health issues, then being a part of the bridal party might be quite difficult for them. Family situation, details of employment – don’t forget about such details while planning. Your bridesmaids are important and you are going to rely a lot on them. Also, different roles require different qualities. Not everyone is good at keeping things in control. Don’t try to ask for impossible! If you think that the person won’t be able to be there for you, rethink your choice. Also, keep in mind that it is even worse if the person agrees to take the responsibility but is not able to perform it as well as needed. There are a lot of roles at the wedding. Different people have different talents. If your friend is a good photographer or a musician it might be wiser to ask someone else to be the bridesmaid. Your friend’s skills would be better applied elsewhere. Also, think of duties – a maid of honor usually requires a lot of organizational skills. Not everyone is capable of doing this. If you are not sure if the person will comply with your expectations it might be better to consider other options. Consider your needs and their responsibilities, lifestyle and current situation. Decide what’s most important for you. Being a part of the bridal party is a serious commitment that requires money and time. For example, bridesmaids are expected to pay for their dresses. If your friend lives far away her participation means travel expenses and some days off at work. If she has a small kid she needs to find a babysitter, which might be a bit of a problem. There are lots of reasons and life situations why the person you chose to be your bridesmaid might say ‘no’. So, don’t push when asking, it is important to allow friends and family to refuse. Your friend simply wants to be upfront and honest, there is no need to be insulted. You might feel obliged to ask someone who is not very close, but this is your day. Don’t ask simply because you need to return the favor or because it’s only polite. Bridesmaids are more than just guests. They help the bride with lots of issues, including very private ones like using the restroom. It is also possible that you will need emotional support and a bit of hugging and kissing (and her napkin to wipe your nose). If you feel that you won’t be comfortable it’s better not to ask. You need someone who’s really close to you on this special day. If you feel forced it will only add to your stress. 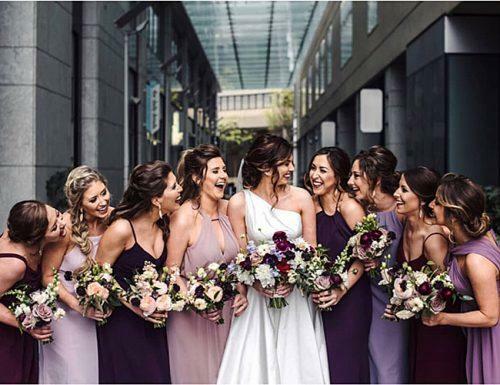 Apart from the family and work issues, there are psychological reasons why your friend might not want to be the bridesmaid. For example, it’s nice to know that your friend is not comfortable with standing in front of the public. Some people are afraid of making speeches or are simply shy about being in the center of attention. If you know about such features of your friend, you might still ask, but leave a chance to back up without spoiling the relationship. Also, some of your girls might feel uncomfortable with the bridesmaid dress. Take a look at plus size bridesmaid dresses – if you choose a design that suits everyone, the problem can be solved. Consider the prospective bridesmaid’s attitude to your relationship. You don’t want someone who doesn’t support the vows you’re about to make by your side. A wedding is a serious event that brings a lot of changes in the life of a person. It is absolutely legitimate for a bride to need some emotional support, and it is the task of her bridesmaid to provide it. Make sure your bridesmaids approve your choice and are ready to be there for you when you need it. 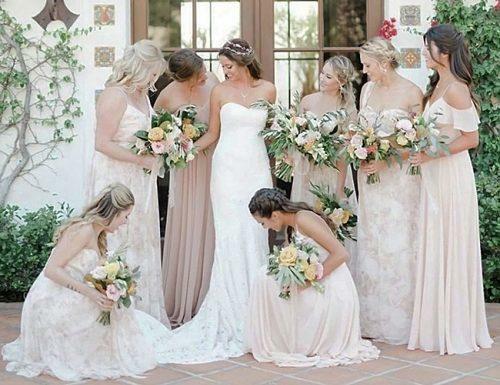 Before you start asking your bridesmaids, you’ve got to know the options. There is more than one female role at the wedding. 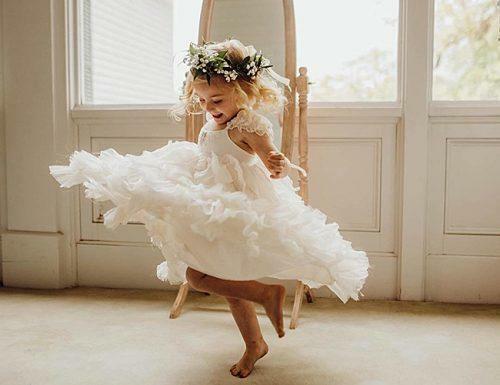 Apart from the ‘regular’ bridesmaids, you might need a maid (matron) of honor, a junior bridesmaid, and a flower girl. This is a woman who is in charge of your bachelorette party, the bridal shower and any other bridal activity. She is responsible and fun to be with because she will be your most trusted assistant. She guarantees your comfort. Somebody to wipe your tears of happiness carefully so that your make up will not smudge. Someone to hold up your skirts at the bathroom. Someone who knows you very well. She needs to be by your side no matter what, and – she’s the one to help you with dress shopping! Maid of honor should be also ready to give you an honest opinion, hug you and calm you down when you are overwhelmed. Bridesmaids are usually your best girls: sisters, cousins, co-workers, childhood friends – everyone you hang out with regularly. Also, someone who you definitely want by your side when you say your vows. Their responsibilities include standing at the altar and help you whenever you need it. Usually, their attire compliments your bridal gown, and they have similar bridesmaid hairstyles. Usually, it is a sweet young lady aged 3-6. She is the one who will look absolutely sweet tossing petals down the aisle. Make sure she is comfortable in front of a crowd and can stand still long enough to get a few pics. Still, this is a kid, and a sudden nervous meltdown is highly possible. Be ready and don’t get mad if it happens. Make sure you have a backup plan on how to calm the child down. Someone who is too old to be your flower girl and too young to be a bridesmaid. Usually, this role is taken by a girl 9-to-14-years-old. She usually has the same responsibilities as adult bridesmaids, but she doesn’t participate in adult activities. You can also ask her to help ushers, pass out programs, favors, etc.